Stuart Hughes is setting a new standard for icing out of some of your favorite gadgets. Hughes is releasing an all Platinum Macbook Air for all you tech enthusiasts out there. The Macbook Air covered in pure platinum and weights a little over seven kilograms, which translates to 15.4 pounds. Some may say that it defeats the purpose of the ultra lightweight Macbook Air but I’m sure if you’re looking for something flashy and exclusive this just might for you. 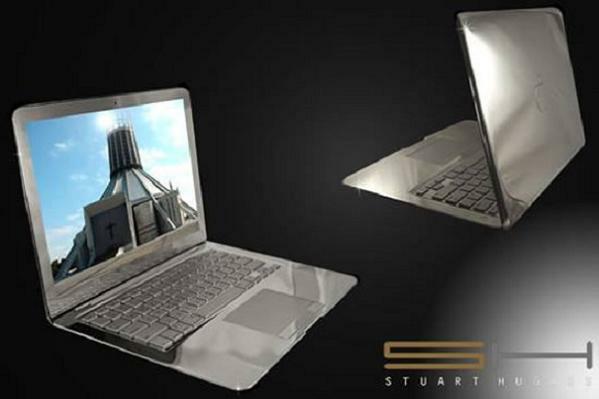 The Stuart Hughes Platinum Macbook Air will be in a limited quantity of five units each at £319,995 (approx. $480,000).